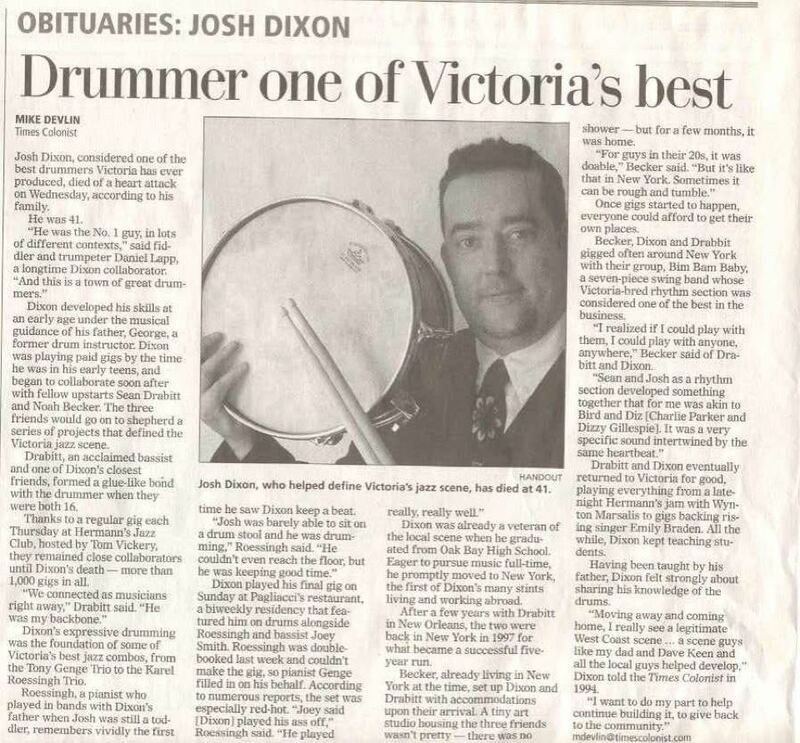 I had the pleasure of playing a number of gigs with Josh Dixon over the years. I always loved his groove and his beautiful gentle soul. He will be missed.